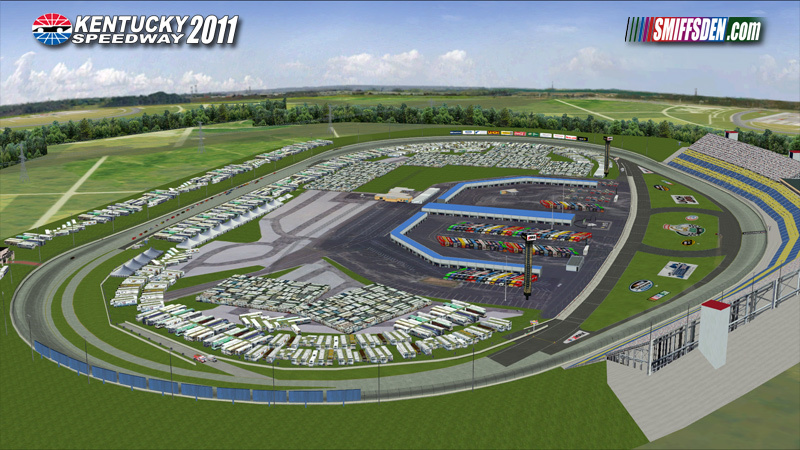 Kentucky Speedway in Sparta, Kentucky is the first new oval to be added to the NASCAR Sprint Cup schedule in 10 years. To mark this event we at Smiffsden has gone mad and made one of our most feature packed tracks to date featuring the legendary AI from J.R. Franklin, only you'll have no problems getting into this track. New wall, ground, sky textures, lights, etc. etc. Day to Night transition is now seen on all TSO levels (Min, Some & All). 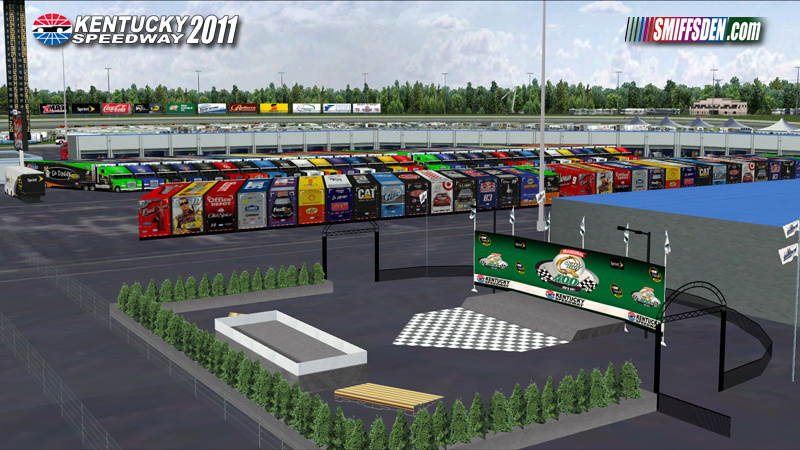 Fixed the lift towers on the Grandstand so they are the correct color and don't suffer polygon tearing when viewed from some angles. 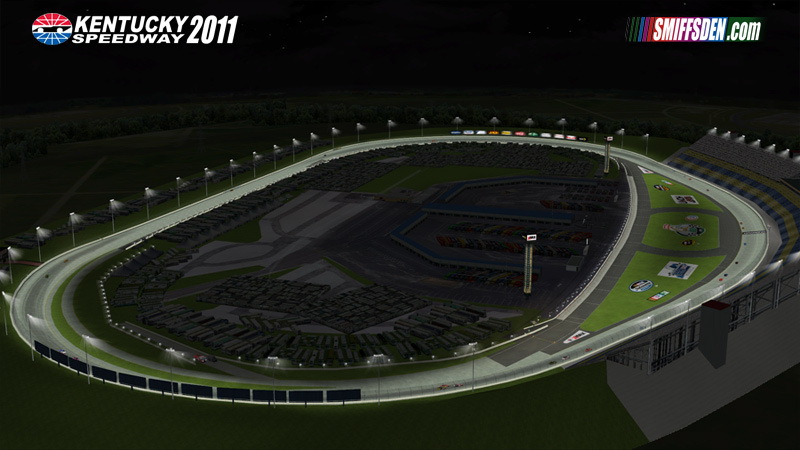 Fixed the transitional wall in turn 3 so that the daylight wall doesn't stick out of the shadow. Fixed some shadow polygon tearing that was present on the trackside hills. 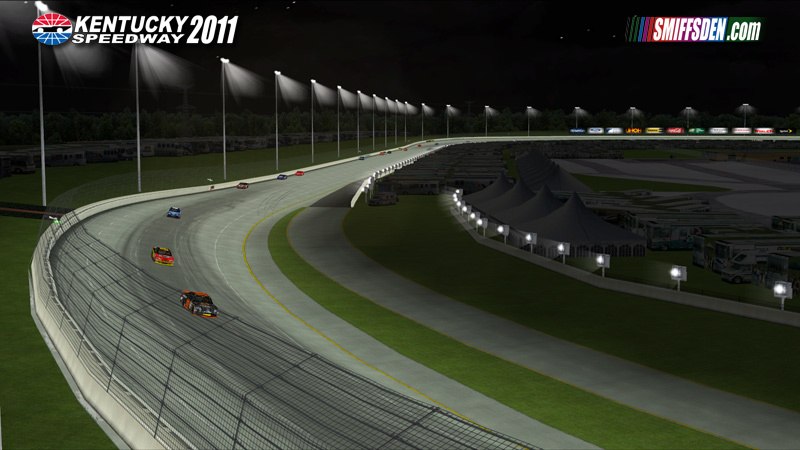 Completely rebuilt and reanimated the Whelen Pit Entry & Exit lighting system (see readme). 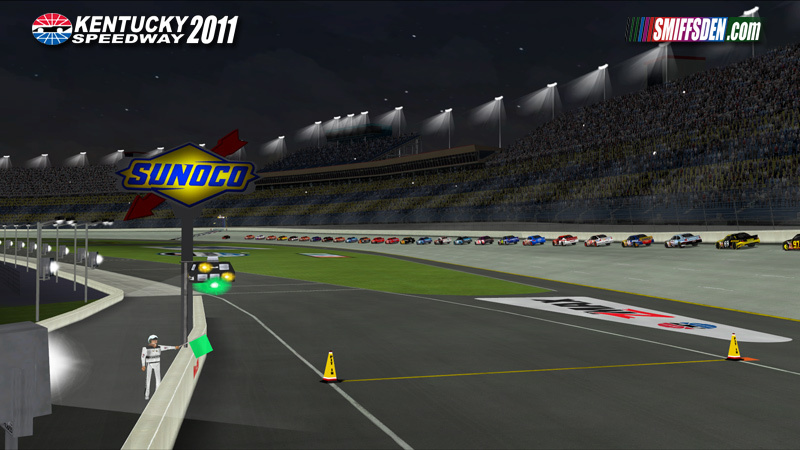 Added Caution Lights to the bottom row of the pit exit light which Nascar uses on some tracks. 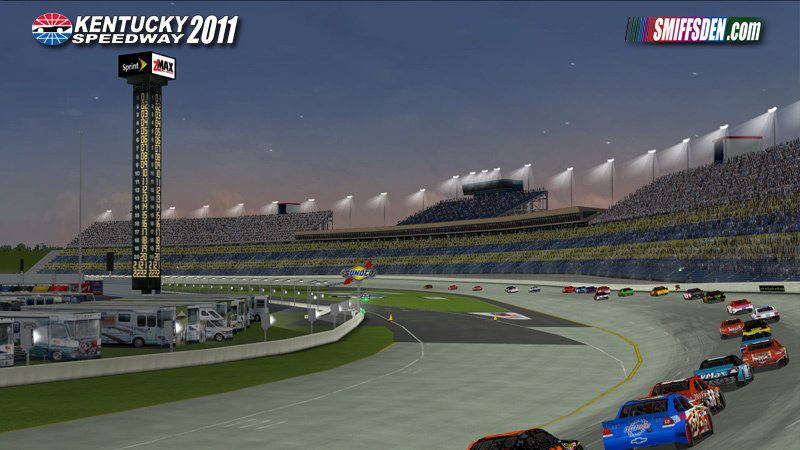 Fixed the min_race.lp line at the start finish line where there was a break in it. Fixed the pitlane entry flag official so he shows the correct pitlane status (see readme). Added PTA and OWR05 track ini settings for AI (see readme). Many other graphical fixes and updates that I can't remember. Added 2x (40 minutes day to night) and 4x (20 minutes day to night) ptf files for offline use (see readme). 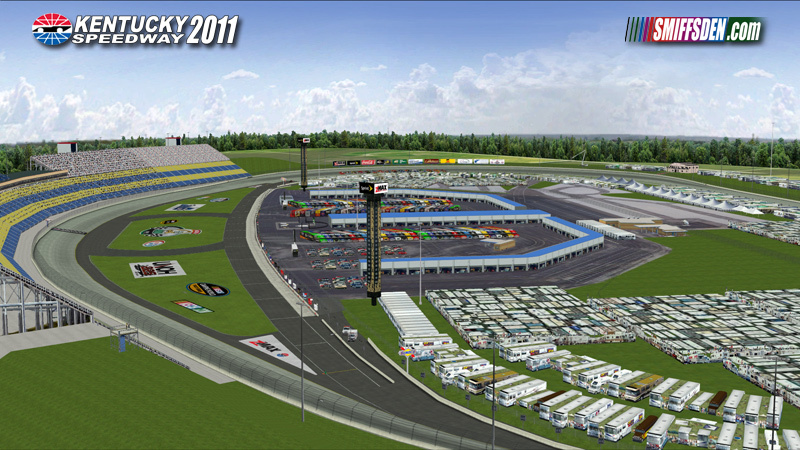 J.R. Franklin has lent his AI expertise to the track AI, they are quiet racey so you should have some fun with them, thanks JR! Problems? Report to Smiffsden facebook page. Vincent Furlong and Scott Relyea. I'd also like to thank my wife and son for humouring me all this time when I get my "Track OCD moments".